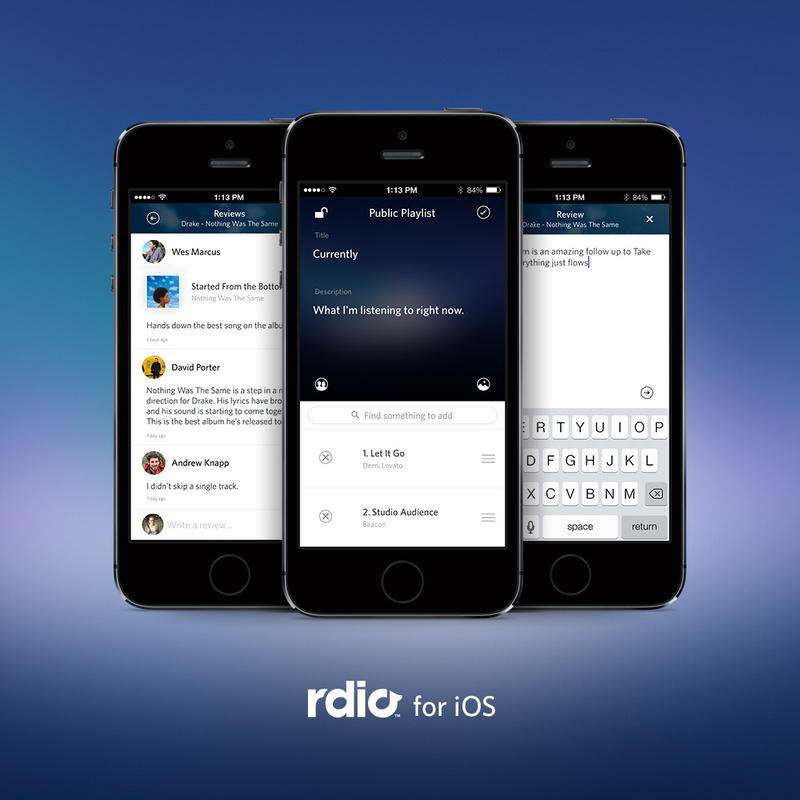 Rdio today updated its iOS app with playlist editing and reviews. The former means you can remove and rearrange tracks, customize the playlist artwork, change its visibility and collaboration settings, and so on. The latter means you can now write album and playlist reviews as well as read reviews by critics and other people on Rdio. Playlist Editing. Now, you can update your playlists from any mobile device. Add, remove and rearrange tracks; add and edit playlist artwork; change visibility and collaboration settings and more. Reviews. Write album and playlist reviews right from the app, and read reviews by critics and other Rdio listeners. Various UI improvements and minor bug fixes. The last point consists of “tweaks to the app’s design, user interface, and overall performance” but no other details were shared. Rdio promises these features are coming to Android “down the road” but didn’t provide a specific date.